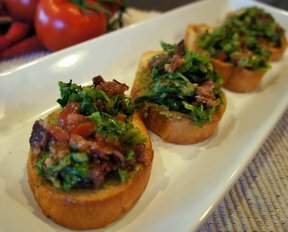 With tomatoes available any time of the year, this appetizer is perfect for any season. Make the topping in advance and it is ready to go when the guests arrive and full of flavor. 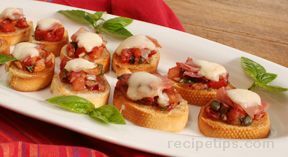 Olives are a great addition to this appetizer. 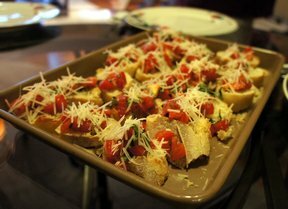 In a bowl, toss together the tomatoes, basil, Parmesan cheese, and garlic. Stir in the balsamic vinegar, olive oil, kosher salt, and pepper. 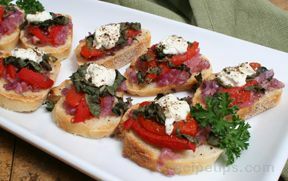 Serve on toasted bread slices.